If you have a sister, so you are really lucky, a sister is not only one of the most closed relative that a person could have, but she is also a great or the best friend for us. So if you are a lucky one, don't lose the opportunity to let her know how much you love her, a great date to do it is on her birthday. 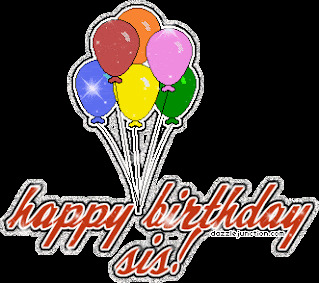 Below you are going to find a group or cards with the message: Happy Birthday Sister, you just have to choose the best one for you and for her. Happy Birthday! 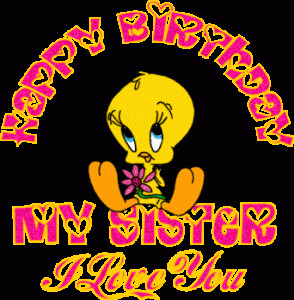 to my wonderful sister with a butterfly on a colorful background. 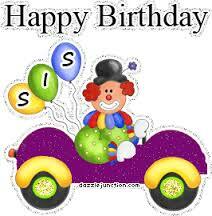 Happy Birthday Sis with a clown driving a car. 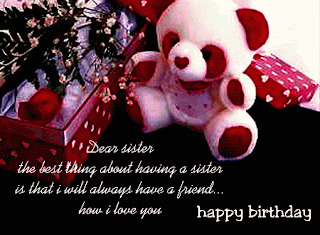 Happy Birthday my sister. I love you. 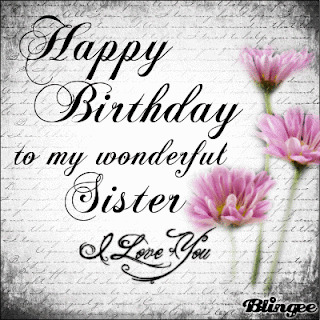 Happy Birthday to my wonderful Sister. I love you. Dear Sister, the best thing about having a Sister is that I will always have a Friend... I love you. Happy Birthday. A colorful way to wish a Happy Birthday to your sister. A tender card with a teddy bear, some flowers and the message: Dear sister the best thing about having a sister is that I will always have a friend... how I love you. Happy Birthday. 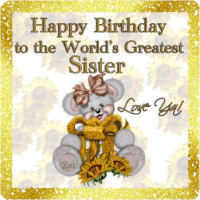 An animated card with the message: Happy Birthday to the World's Greatest Sister. Love You! 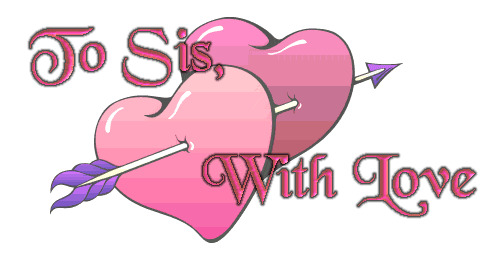 If you prefer a tender message, here we have a couple of pink hearts with an arrow and the message: To Sis, With Love. In this image we have some colorful and shining balloons with the phrase: Happy Birthday Sis. 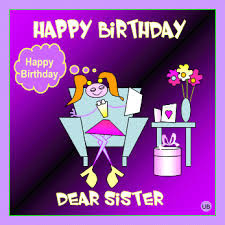 Happy Birthday Dear Sister, with a funny way to represent her. 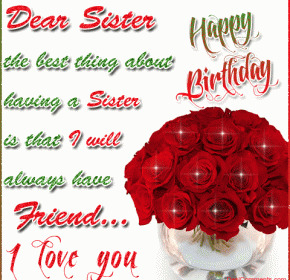 I hope you have enjoyed these cards with the message: Happy Birthday Sister.